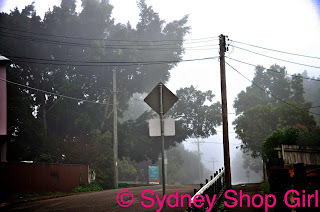 Sydney Shop Girl: Fog and Fauxpard on Friday. When Sass & Bide Were All About Denim. Fog and Fauxpard on Friday. When Sass & Bide Were All About Denim. It's Friday, alliteration around a sort of made up word are allowed for blog post titles. It all started when I woke up this morning. On the plus side, there was daylight. 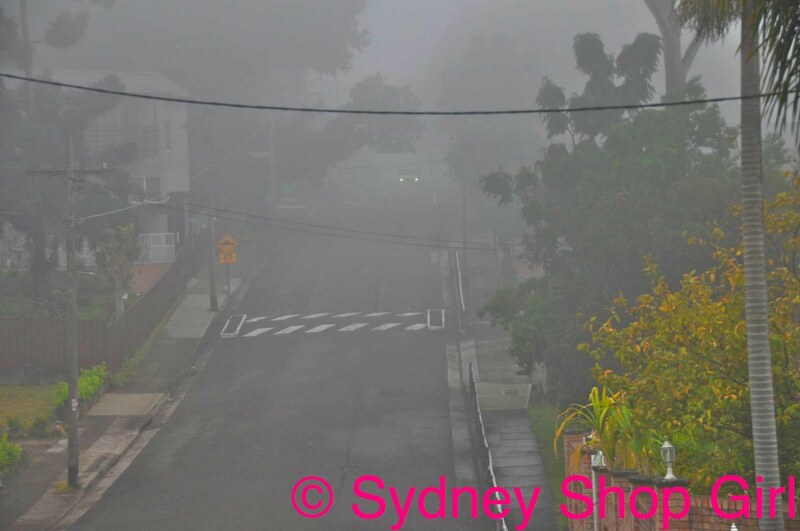 Less promisingly, there was a thick fog blanketting the suburb. Blankets are great in bed but having struggled to valiantly to free myself of mine it was ironic to have to try and run through one outside. It was actually a very pleasant run. The air felt cool and refreshing, especially when I mouth breathed up that final hill. Too much information. Friday breakfasts are allowed to be semi healthy and chocolate based. After all, there has to be some reward for surviving the working week with weetbix, low fat yogurt and grapefruit? Today was especially exciting, a new box of cereal was being opened at SSG Manor. May I present Coco Pops O's. They are Wholegrain and a tick the both the 47% wholegrain and source of fibre boxes. 2 out of 2 ain't bad. As is the norm for food advertising, the O's were o's when I poured them out of the box. They were actually pretty tasty. Not as sweet and fake chocolatey as Coco Pops when it comes down to it. They taste of dark chocolate. 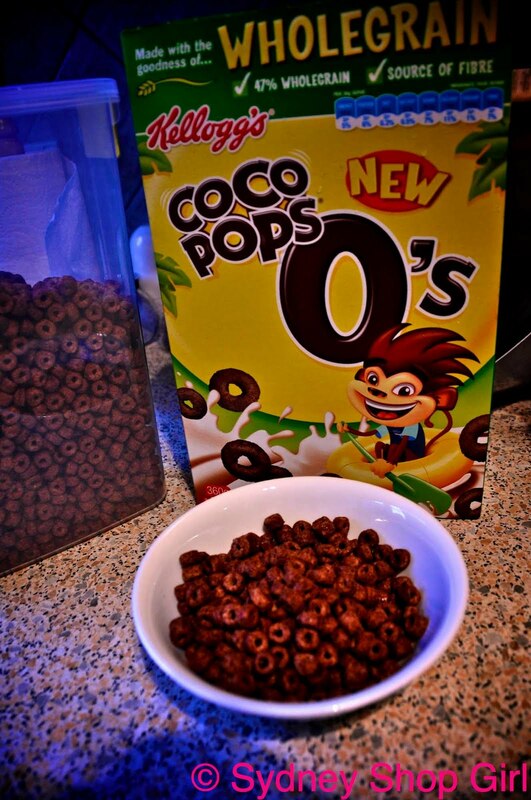 Perhaps O's are for those adults who never quite got over the cereals of their childhood. In the word of a younger generation, I rate these. Fortified with wholegrain and non artificial chocolate flavouring, it was time to tackle the issue of what to wear. In the spirit of end of season thrift (in which recycling older items in your wardrobe makes you feel virtuous ahead of all the things you'll buy when the weather changes for good), I revisited the sass&bide era of my denim collection. Back in the day, sass&bide were all about denim. They were kicking it in Australia before the American brands such as Seven For All Mankind, Citizens of Humanity, J Brand etc were widely available here. It is a story for another day how I now have an Australian American Alliance of denim in my wardrobe (the bottom half of Mr SSG's suit section of the built in wardrobe, to be precise). 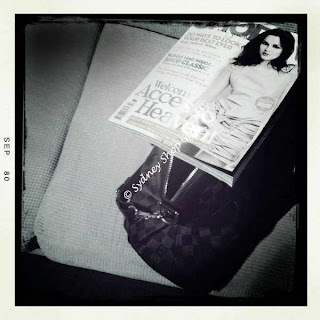 I'm a bit challenged these days when it comes to sass&bide. There is nowhere to hide with their non denim collections if you have only one part of your body that you wish to highlight or reveal at a time. This is my Funky Thompson dark denim skirt. I also have the matching jacket. And the rabbit boy cuffed jeans - tragically, the denim has gone all blotchy on my rabbit boys. But ice washed denim seems to be still on the fringes of current fashion so perhaps I could still wear them in public? I love dark denim with leopard print. This is my belt from Gap Tokyo. Sweater from Saba, white tank from cotton on. Speaking of Gap, do you remember my Men From Marr's photos from the DJs flower show post? That area of the Sydney CBD is about where Gap Sydney is going to be - at the end of next month. I've heard mixed reviews about Gap in Australia but will reserve judgement for when I visit the Sydney store. Zara is also going to be in the vicinity and this can only be good for those of us who shop high street for clothing. I'm going to ease into the weekend with Shop Til You Drop. There's extensive coverage of accessories promised on the cover. As well as STYD classic, which is being billed as a way to 'share the love with you mum' but I have a feeling it may have something for those of us who aren't mothers but are challenged by sass&bide.